Nothing excites me more than the green revolution I am witnessing across cites, suburbs and even the deserts of the world on a daily basis: I call this THE POWER OF A PLANT. Literally and figuratively, this reconnection with nature – and the inherent wonder and majesty of a seed well planted – has been transforming mindsets and landscapes as well as educational and health outcomes – for people and the planet with a triple bottom line orientation that helps enable every organism to reach and fully express their G-d given genetic potential; how glorious! Breathe deep one and all! Now more than ever, given health, obesity, climate and resource crises, the need to incorporate and embrace plants and all living things into our daily routine brings add value to all our lives and to our entire planet. It is my belief that connecting people with nature and incorporating plants and by extension living ecosystems – into every aspect of our built environment – is the cornerstone of restorative and regenerative planning and our civic responsibility. In a world obsessed with adding days to our lives, we can add life to our days! The beauty of green infrastructure. Further, as an educator, I believe that when we teach children about nature, we teach them to nurture and when we teach children to nurture, we as a society collectively embrace our better nature. Closer to home, in the poorest Congressional District in America, I have found that the art and science of growing food in school using 21st Century technologies – in a community with limited means and access to both – aligned to content and subject area instruction has proven to be the transformational tool for personal, professional and community outcomes. 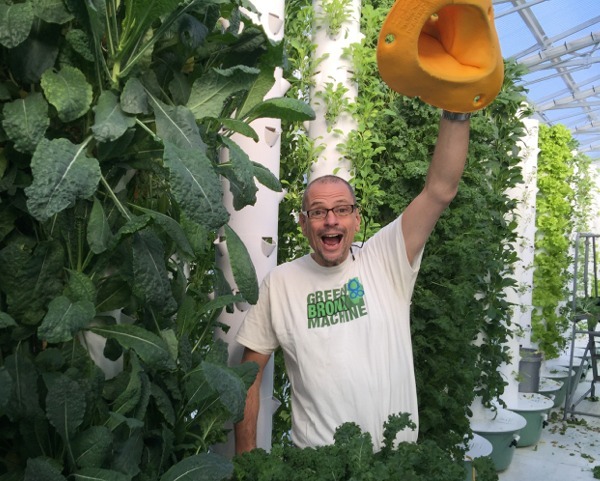 I’m delighted and proud to highlight my odyssey, one teacher’s journey to green minds and communities for the 2017 Greenroofs and Walls of the World Virtual Summit: THE POWER OF A PLANT! 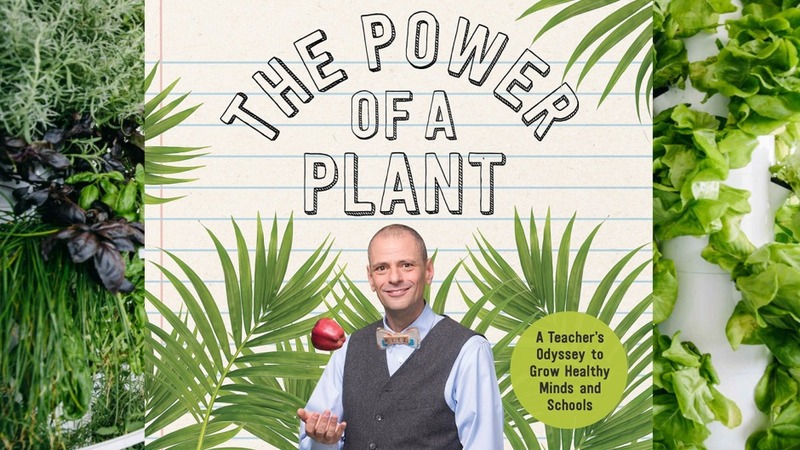 Stephen Ritz is a South Bronx educator and innovator who believes that students shouldn’t have to leave their community to live, learn, and earn in a better one. Moving generations of students into spheres of personal and academic successes which they had never imagined — while reclaiming and rebuilding the Bronx — Stephen’s extended student and community family have grown more than 50,000 pounds of vegetables in the Bronx while generating extraordinary academic performance. He was named a Top 10 Finalist for the prestigious $1 million Global Teacher Prize in 2015. Stephen helped earn his school the ﬁrst ever Citywide Award of Excellence from the NYC Strategic Alliance for Health and directly attributes these results to growing vegetables in school. The founder of Green Bronx Machine, in 2014, the student-led organization celebrated a Best of Green Schools Award — one of only ten recipients across the United States, and The National Association of Secondary School Principals cited Stephen’s work and Green Bronx Machine as one of ﬁve national exemplars of service learning. Stephen has moved attendance from 40% to 93% daily, helped provide 2,200 youth jobs in the Bronx and captured the United States EPA Award for transforming mindsets and landscapes in NYC. In 2016 Stephen and the Green Bronx Machine also brought to life the ﬁrst ever independently ﬁnanced National Health, Wellness and Learning Center in a 100+ year old reclaimed school library in the South Bronx at Community School 55. Stephen's new book, The Power of a Plant, is due to hit shelves in May of 2017.